The automotive landscape is changing rapidly. GaN Systems CEO Jim Witham spoke with AAC about the unique challenges of efficient power in automotive applications and how autonomous vehicles represent a convergence of major trends across the industry. The term “mobility” has taken on a new significance in recent months and years, extending beyond the concept of moving from point A to point B. 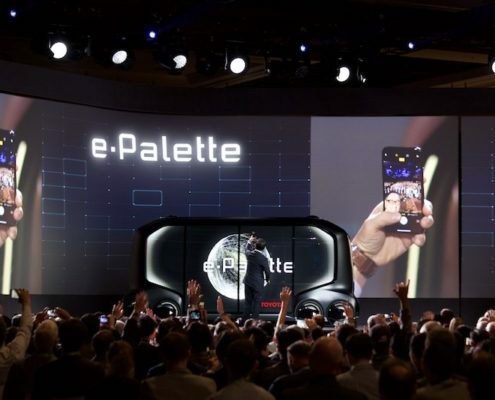 From the halls of CES where “mobility as a service” reigned supreme to the multi-billion dollar investments in developing autonomous vehicles over the past several years, mobility has become an important concept to the electronics industry. 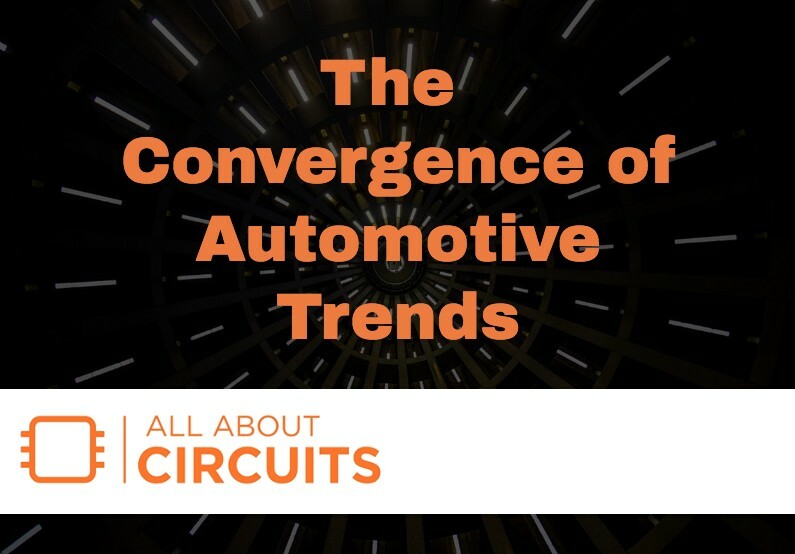 While this increased attention on mobility has naturally resulted in a more intense focus on automotive applications, it turns out that many major trends in the industry are converging in this sphere, including data centers, renewables, and new methods of charging of electric systems. GaN Systems CEO Jim Witham believes that a big portion of the evolution of electric vehicles and autonomous vehicles (EVs and AVs) will hinge on higher levels of efficiency. From his perspective, achieving this efficiency will require the use of GaN or gallium nitride, a semiconductor that’s been posed as an alternative to silicon that can allow for smaller, lighter power systems. In a recent trio of videos, Witham discusses the concept of mobility, EVs, and AVs with Uwe Higgin of BMW i Ventures, a venture capitalist group for incubating innovative technologies, a program in which GaN Systems participates. Witham spoke with AAC to expand that conversation and lay out how EVs and AVs are more than just a particularly progressive portion of the automotive industry. EVs and AVs represent a new era in electronics, weaving together several industry trends that have been developing for years—an era in which Witham believes GaN will be crucial. “We’re in the midst of a revolution happening in power electronics,” Witham begins. From the rise of the internet and the availability of affordable memory to the surge in mobile computing devices, the technological landscape has been changing quickly (and sometimes drastically) year over year. According to Witham, the two biggest areas that have grown due to these changes have been the development of data centers (particularly due to a rise online activity spurred by an expanding IoT) and the electric vehicle. GaN Systems has built a reputation off of the idea that gallium nitride transistors are going to be instrumental in increasing efficiencies for power applications. Over the last several years, GaN has been gaining traction and, in some ways, threatening silicon’s dominance in the industry. Especially in the last year or two, it seems that major corporations like Texas Instruments, Analog Devices, Dialog Semiconductor, Qualcomm, and others have been investing in this alternative semiconductor and releasing GaN components and modules. Current applications for GaN are wide-reaching. It’s been noted for its results as a semiconductor used for RF applications, including RF power amplifiers. It’s also made possible things like 99% efficient inverter power stage designs. One of those society-changing concepts is how the automotive industry is rapidly evolving, especially in moving towards electrification and autonomous vehicles. In a general sense, vehicles are getting more high-tech. This is perhaps an unsurprising development as even refrigerators and toasters are becoming advanced enough to require cybersecurity measures. Tech companies, then, often view automotive as an important vertical for product development. A MobilEye display at CES 2018 shows off sensor innovations for automotive applications. 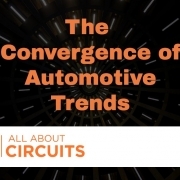 But while it may not seem extraordinary for a semiconductor company to consider automotive a major vertical, it’s worth considering that automakers may not be quite as prepared to make technology a major part of their overall strategy. Automakers have largely enjoyed a relatively stable demand for their products. In recent years, however, Witham has noted that the tech industry has been placing increasing pressure on these automakers as technology companies inch further into the automotive space. On one hand, more advanced technologies in cars have buoyed automakers with more attractive features to build into their products. On the other hand, the life cycle of the typical vehicle is much longer than that of the typical smartphone. With computing systems increasingly appearing in vehicles, it seems inevitable that industry-wide shifts will need to occur to allow automakers to keep up. Of course, it isn’t a simple matter of technology easily slipping into the automotive realm. 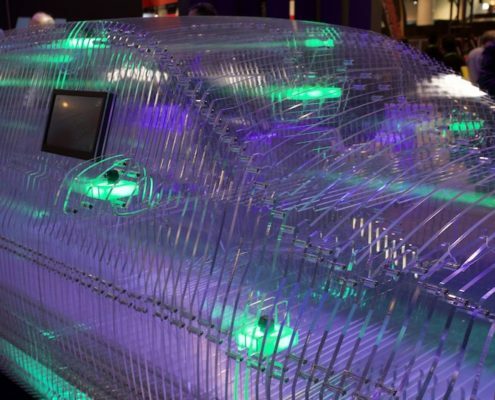 Automotive applications face several unique challenges, including rapidly changing usability expectations and starkly unchanging safety expectations. While it may not necessarily look it on the outside, a high-end car released today is markedly different from one released 20 years ago. The concept that a vehicle can connect wirelessly to a smartphone is no longer a novelty but rather an expectation. 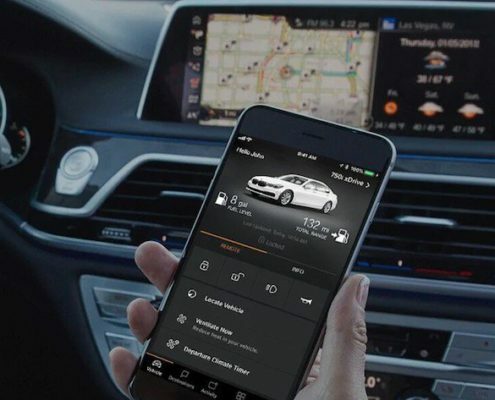 Now there may also be expectations for a backup camera with predictive guidance, lane sensing and correction, capacitive touch-enabled infotainment consoles, and a whole host of other integrations of technologies that are just becoming common in consumer items. All of these “bells and whistles” require power, making efficiency and power conversion more important than ever. BMW’s ConnectedDrive is an example of inter-device connectivity. Image used courtesy of BMW. Despite that cars provide such large form factors, then, space is still prime real estate when it comes to the size of electronics. At present, this sets automotive apart from other applications where “small enough” is still an important concept. So what sets automotive apart from other applications when it specifically comes to power? Reliability is also a major pain point when it comes to both AVs and EVs. “For EVs, it’s just standard automotive. People expect their cars to last for ten years and drive hundreds of thousands of miles and you’ve got to continue to do that with an EV just like you did with an internal combustion engine,” says Witham. But he doesn’t necessarily see this expectation as a negative. In March, GaN Systems showcased several demos at APEC, including applications related to renewables (such as solar), EVs, and data centers. As it turns out, all of these topics are important for autonomous vehicles. Those same companies that are investigating entering the automotive sphere have been vastly expanding their data centers. The amount of data processing and storage necessary to support millions of autonomous vehicles is staggering. In broad terms, data must be gathered from sensors and systems in a vehicle, processed, run through decision-making programs, and then fed back to the car’s systems to execute actions. While some of this processing must necessarily be done in the car, itself, sending data back to company data centers is important for exposing machine learning algorithms to the datasets that will allow them to make better driving decisions. In 2016, Intel claimed at CES that a single autonomous vehicle could require four terabytes of data per day. This makes data center efficiency important to a sustainable future for autonomous vehicles; according to Witham, companies like Google but also automakers like BMW are expanding their data centers. But efficiency issues also include conversations about renewable resources. These power issues can have far-reaching effects on everyday life. Witham thinks of mobility as an important issue for social responsibility. A huge portion of our lives are spent in transit, he argues, and the repercussions of making the power systems behind transportation more efficient and available are huge. Jim and Uwe have been releasing a series of articles on the topics of EVs and autonomous vehicles to accompany their video trio. You can see the most recent article here. You can watch the first part of Jim’s conversation with Uwe here.